Sage Partner Forum Here you should join the ‘Sage Financials’ Group and this is where you can raise cases. Sage University: go here for a range of online courses. Before raising a case make sure you have Granted Sage permission to log in. If I can make your finance department 10% more efficient, what difference would that make to your business? But if I can make your sales department 10% more efficient, now that would make a difference to your business – right? If you already use Salesforce, has it made your sales team more efficient? If not, how could you achieve it? And if you are thinking of Salesforce, how can a CRM make your sales team 10% more efficient? The only thing that will increase your sales is the ACTIONS of your SALES TEAM. By giving your sales team a single List View that can be sorted by these parameters, they are free to sell creatively without loosing sight of their pipeline. You really can help them do their job better. Click on the ? menu at the top right of the screen in Salesforce to get a summary of help available. If a Member of staff leaves, don’t just update their name with a new user, set them to Inactive first. If a new member of staff has replaced someone, deactivate the old user first to keep within your license limit. Then add a new user. If you have an extra member of staff, you will have to contact your Account Executive at Salesforce to purchase an additional license. Or you can go to the ‘Mass TEO Transfer’ tab to transfer just the Open Opportunities and Open Tasks. Normally you find out a sales invoice has been paid when the payment hits your bank account. You may get a Remittance Advice, but the easiest way to handle this is through Bank Matching. Then use Bank Matching with TYPE ‘Payment on Account’ to reconcile the receipt. This will add ‘VAT Report’ as a top-level menu entry in Sage Financials. You need to add the ‘VAT Report’ to ‘Selected Items’ in the ‘Financials’ App. 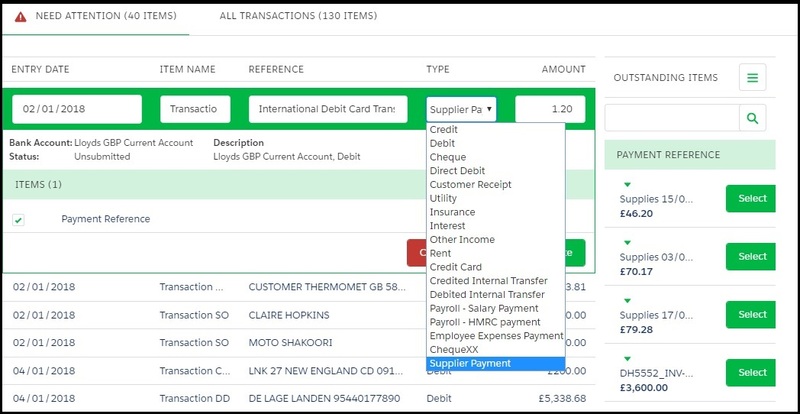 If you are unsure how to change ‘Selected Items’ in Saleforce Apps, check out this video, but instead of selecting ‘Drill Down TB’ choose ‘VAT Report’. After you have run your VAT Submission (under the Tab ‘Compliance) you can choose the ‘VAT Report’ tab, select the required period and view the report.